In 5 minutes today you can set up an automated email that will help you understand your recent signups and convert more of them from free to paid. It won’t require you to use a fancy html layout. There are no images in the email. There aren’t even that many words. You don’t need to be an expert copywriter. So What Is This Magical Email? How can something so simple be so effective? Are you shocked at the simplicity? We call this the “surprise personal email”. Had this on for 24 hours, so very preliminary results, but we’re seeing 25% reply rate. Insane.” -James S.
I’ve set this up a couple of weeks ago, and it works monstrously well! We’ve been getting tons of compliments on how personal and attentive we are with ours user and tons of replies.” -Helder R.
How Do You Design Your Surprise Personal Email? 1. Surprise Someone With The Timing. Don’t send immediately because that’s too soon. You could try the timing we use: 32 minutes after someone signs up for our product. That’s just enough time for them to have a look around. Usually they’ll have a bunch of questions. 2. Send It From A (Real) Person. Ideally the person who will answer replies is the person who should send it. For our company it’s me. 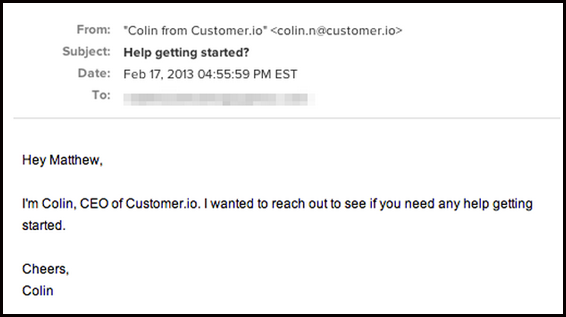 You can set up a special email address like: colin.n at customer io that forwards to your help desk. This helps you deal with the responses in a more structured way. BUT, and this is a big BUT, only if people don’t know they’re communicating with your help desk. If they do, you ruin the illusion and it makes them feel less special. What If I Can’t Automate It Today? That’s ok! Here’s what you can do right now. Pick your 10 most recent signups and send them an email like the one above. Just offer your help. More likely than not you’ll get 2 or 3 replies. The responses from a surprise personal email help you understand the needs of your customers and give you an opportunity to help. You’ll deliver better service to them and learn what you need to fix in your product. There’s no better time than the present, so go set this up right now and share your experience in the comments. P.S. Need help sending automated emails like this one? That’s what customer.io does. Colin Nederkoorn is the CEO of Customer.io, a product that combines analytics and email to help you send better newsletters, triggered and transactional email. 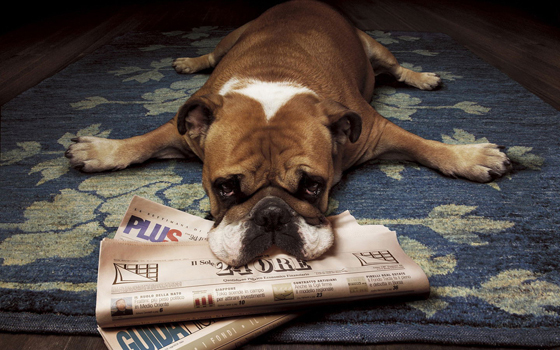 Sign up for his free weekly newsletter that will help you be more effective in your email marketing.